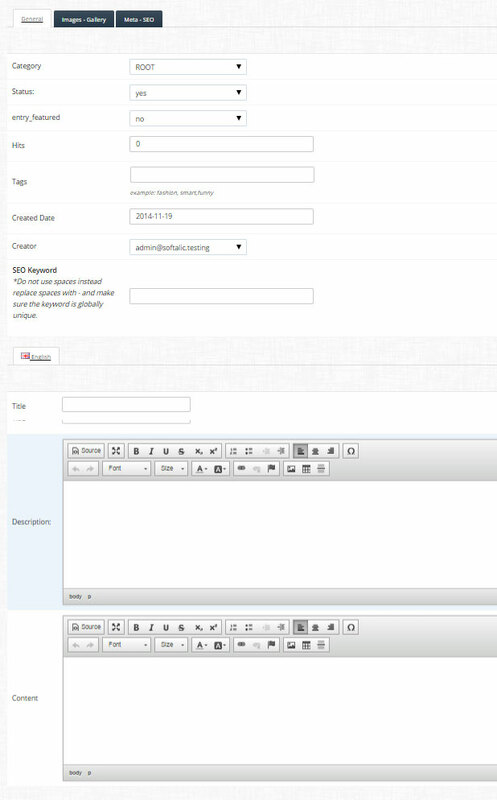 If you are wanting to display news on your site then you can use the Blog Manager. Think of each blog item being an individual information page. However unlike an information page – which generally does not change (ie an about us or contact us page) , a blog can contain news, latest information or even details about new products just received. The blog front end area displays this information by date, so the most recent blog created, generally, is displayed first. 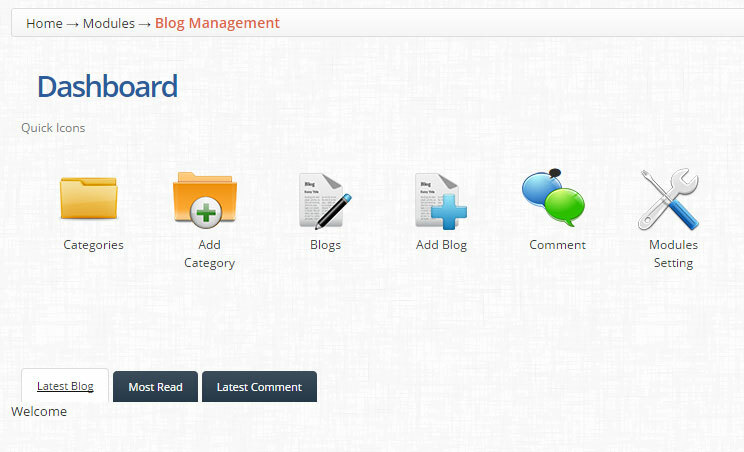 The dashboard is where you can manage your blog. To access an area simply click on the icon that relates to it. To see your existing categories, click the ‘Categories’ icon. To add a new category click the ‘Add Category’ icon. The Categories Tree Menu displays your current categories and the their hierarchy. SEO Keyword: Do not use spaces instead replace spaces with – and make sure the keyword is globally unique. To see your existing blogs, click the ‘Manage Blogs’ icon. 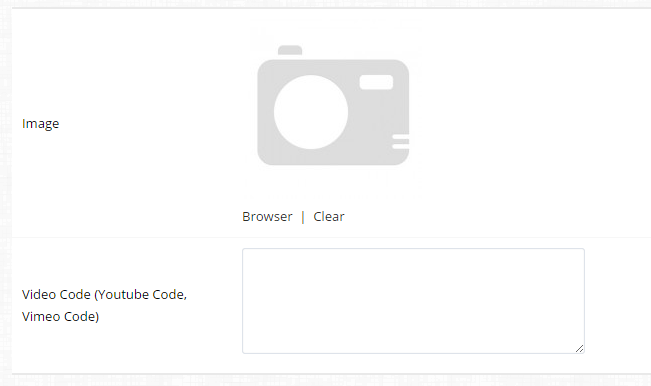 To add a new blog, click the ‘Add Blog’ icon. 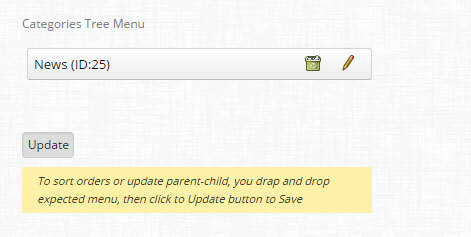 To edit an existing blog, click the ‘Edit’ button that is displayed beside it. This takes you to the same style page as adding a new blog – however your already existing content will be displayed. To add a new blog, click the ‘Add Blog icon. Just like a standard information page, you will need to fill out some details. In the blog area there are 3 tabs you can click on to get to that area. 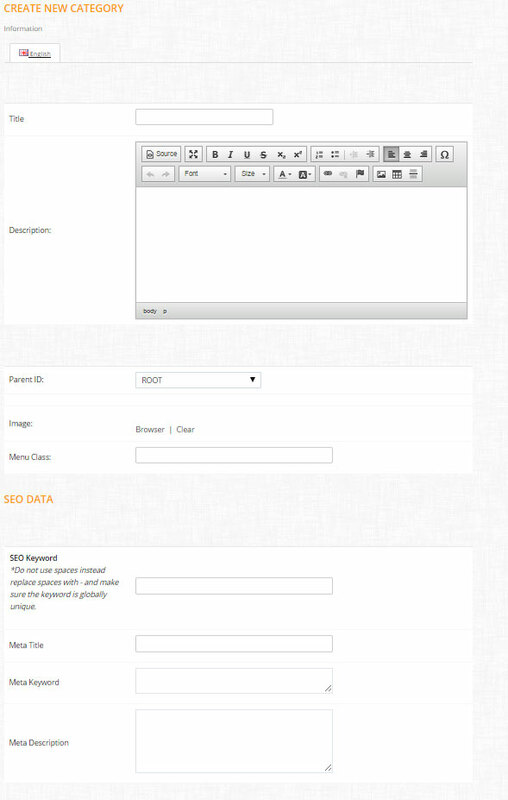 The general tab is where you fill out most of the information you want displayed on this blog entry. Hits: Number of people who have viewed this item. SEO Keyword *Do not use spaces instead replace spaces with – and make sure the keyword is globally unique. This lets you assign an image to your blog. It uses the shops image manger.